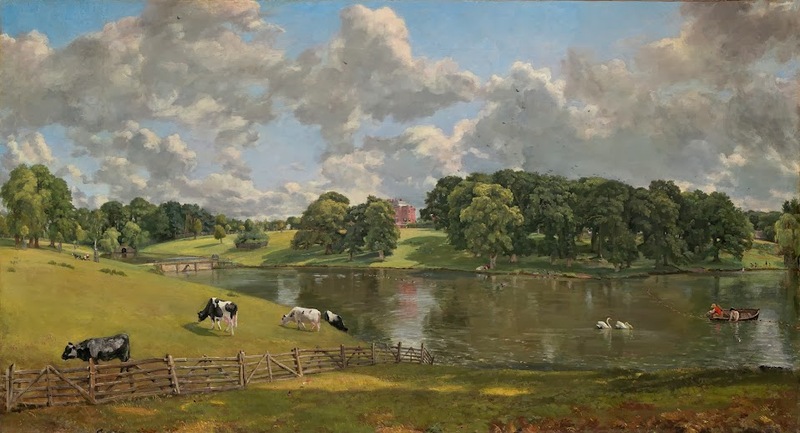 John Constable, Wivenhoe Park, Essex (1816), National Gallery of Art, Washington, D.C. There is nothing threatening here. Nature is close and familiar. 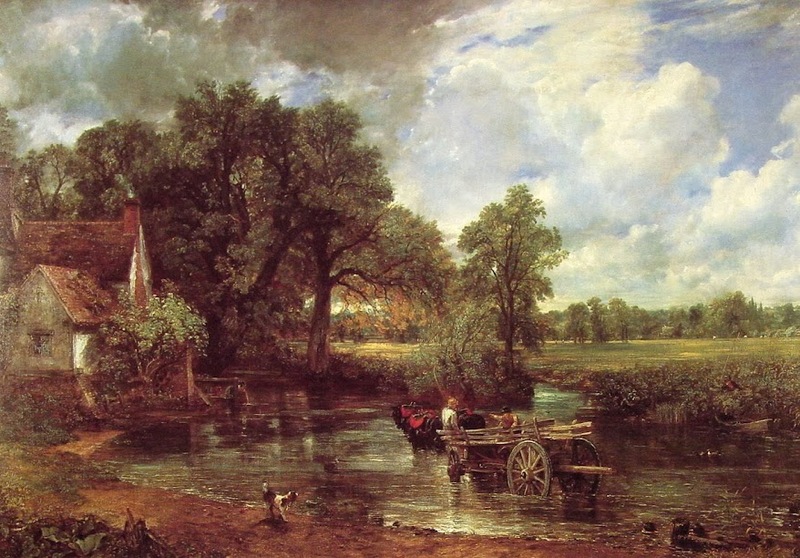 These are simple domestic scenes that convey a strong sense of homeliness and attachment to place. 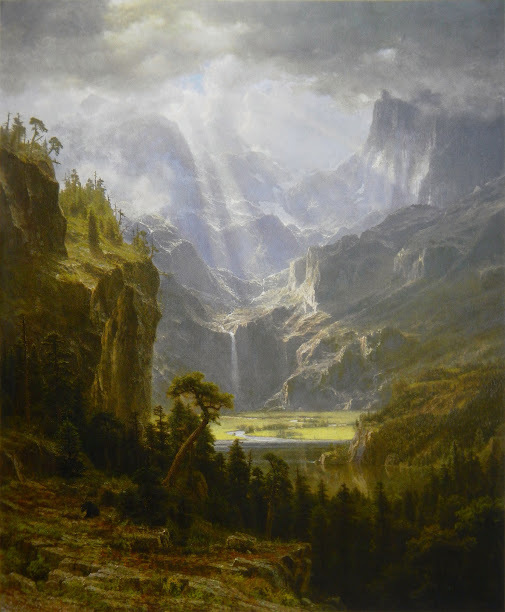 Albert Bierstadt, Among the Sierra Nevada Mountains, California (1868), The Smithsonian American Art Museum, Washington, D.C.
Albert Bierstadt, Mount Corcoran (1876-77), Corcoran Gallery of Art, Washington, D.C.
British painters, such as J.M.W. 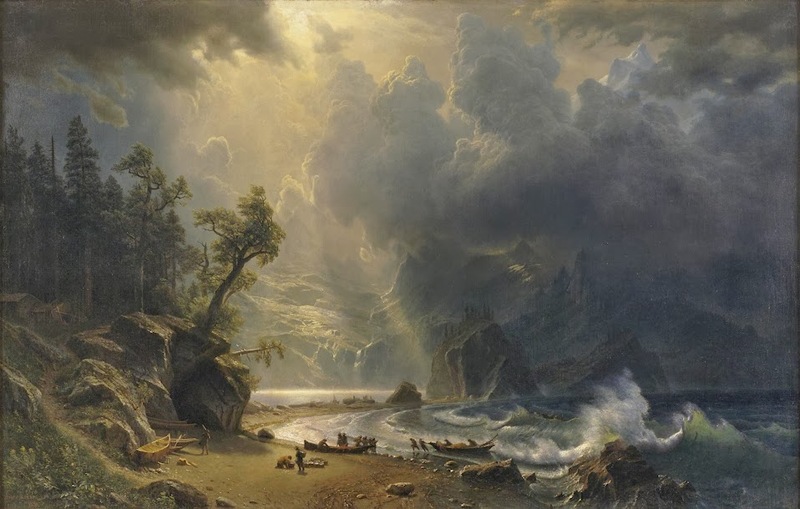 Turner, also tackled wild, sublime scenes. 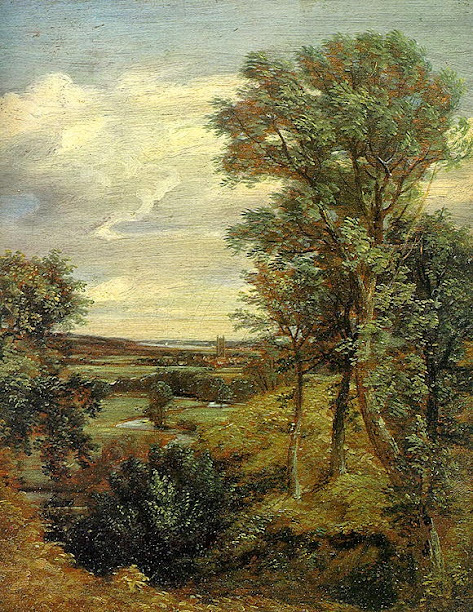 Those landscapes, however, are rarely on British land, but rather in the Alps or at sea. 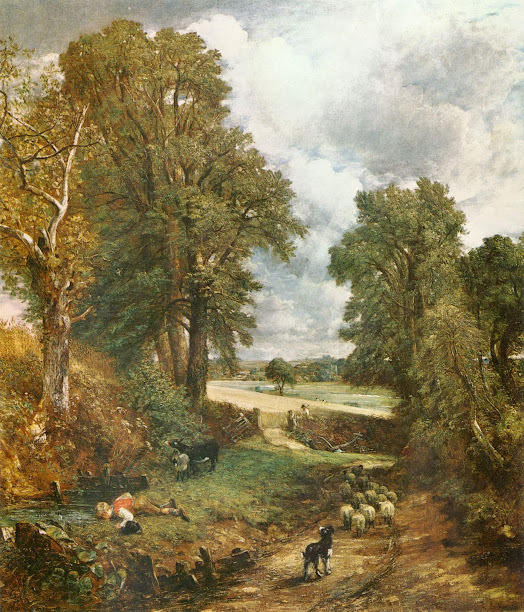 When British land is painted, it feels like home. When American land is painted, it feels like a wilderness to be conquered, and that tells you something about the spirit of the two nations. 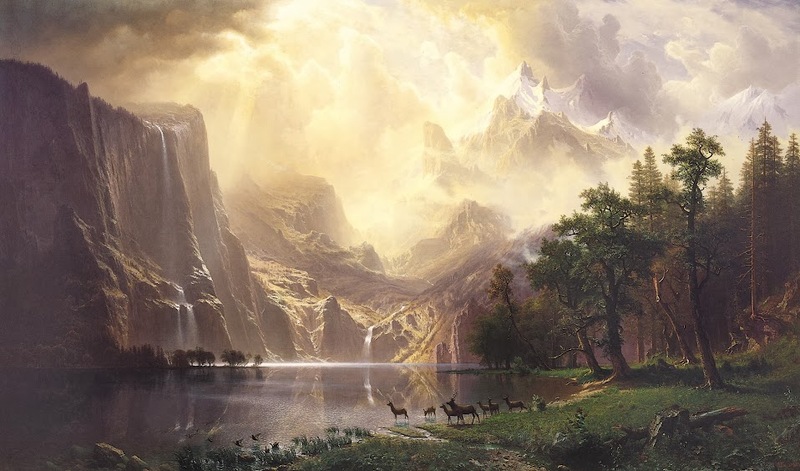 So when you look at landscape painting, think not only about the celebration of local natural beauty, about the light, the brushwork and atmospheric effects. 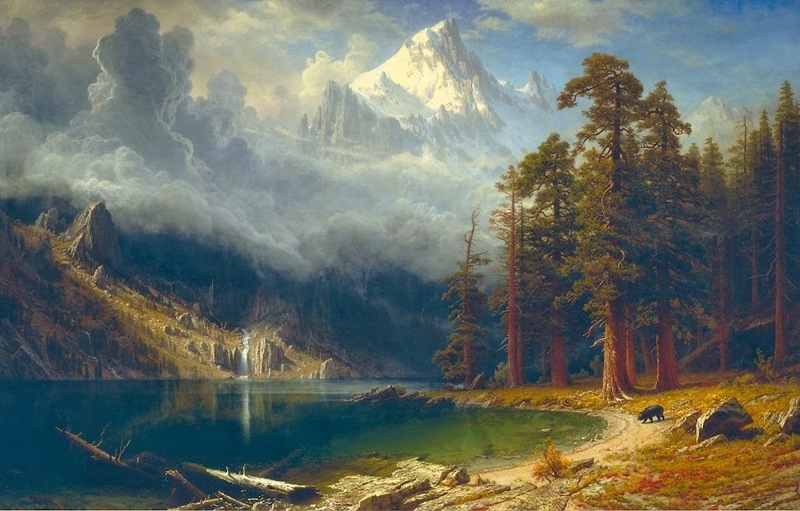 Also think about the way nature is represented and what it says about national identity, about the way the nation represents itself through its relation to nature, which both shapes and reveals its character.